MBW’s World’s Greatest Managers series profiles the best artist managers in the global business. 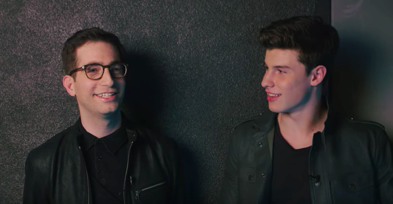 This time, we speak to Andrew Gertler, a New York-based talent manager who looks after the likes of global superstar Shawn Mendes. The World’s Greatest Managers is supported by Centtrip Music, the FX and banking solutions provider – which helps artists, managers and music businesses obtain an optimum currency exchange deal. Remember Vine? Probably. It only withered a couple of years ago, after all. But, pretty soon, in this accelerated culture, it will be reduced to a quiz question. It was one of those burn bright/fade fast deals (200m users at one point, now a holding page saying, quite chillingly, ‘We have placed Vine in an archived state’). Yet it is unlikely to ever be completely forgotten – at least as long as Shawn Mendes is remembered. And the Canadian singer songwriter does seem set to become what the music industry likes to call ‘a career artist’, someone who will be listened to, talked about and written about for a long time. And when he is, somewhere in the first paragraph, it will mention Vine. Manager Andrew Gertler can live with that. Because, despite the fact that a big part of his role has been to move way, way beyond the ‘kid who got spotted on Vine’ narrative, it’s now certain that, in terms of biogs, that first para will lead into a quite different story – a long success story, judging by the current trajectory. All three of Mendes’ albums, including this year’s eponymous collection, have gone to No.1 in the US and Canada. At the same time, he has built a reputation as a respected and relentless live performer (over 100 arena shows are scheduled for 2019). Talking to Gertler, it is clear that, despite the social media origin story – and the fact that his client’s rise coincided so precisely with the emergence (now dominance) of streaming and of an intertwined ‘track-based’ culture – Mendes is quite an old-fashioned artist. He wants to be judged primarily on his songwriting and his live performances. Perhaps 30-year-old Gertler’s greatest success has been to position him firmly in that lane. As a team, they of course know how to engage modern fans around the world, and how to operate at the cutting edge of the 21st century music business, but their sights are set on a body of work, on stadiums and critical acclaim. What’s the first music you were into? I think really early on I was kind of following what my older brother was listening to. He was two years older than me and be buying things like the Red Hot Chili Peppers. I was also into a lot of the early era MTV bands that broke out in the late ‘90s. I have memories of tuning into TRL every week. We grew up in the south suburbs of Chicago and we went to a bunch of shows at an ampitheater in Tinley Park, Illinois. After a while I realised I could work at these shows, not in a music capacity initially, but trying to sign people up for credit cards at the ampitheater. It was a really poor paying gig, but it was enough to get me into the show. Throughout that, I started asking, Can I help at the merch table? I ended up doing that for random bands, and through that I met managers and started building up some contacts. Then, while I was in college I started interning for a management company. From that I got an internship at Atlantic Records in college; it kind of all spiralled from there. Meanwhile, a friend of mine from High School called me one day and said, Hey, this kid from our school is a rapper; I know you’re doing the music industry internship thing, are you interested in managing him? I kind of jumped on the opportunity, started managing him through college, and that was my first artist, Rockie Fresh; he signed to Rick Ross at Atlantic. And then, when I graduated college, I ended up with a job at Warner. I worked there for about two-and-a-half years. And then that’s when I found Shawn. It sounds like you got your breaks by networking even when you didn’t know you were networking. Absolutely, yeah. I mean, it wasn’t like I had the intention to get into the music business; it was more I was a fan and I loved going to shows. And it somewhat just … happened, you know? I met more and more people that had different jobs in the music industry. I became more and more enamored with the business side, and eventually I realized that it could be a profession. You mentioned the moment that changed everything, which was finding Shawn; how did that happen and what were your first impressions? I remember that I immediately knew something was different. I stumbled upon this video of his cover of A Great Big World’s Say Something. And there was just something about him that made him different to every other cover artist that I would come across online. It felt so authentic. It was shot pretty poorly, but at the same time, it was charming that it was shot that basically. I remember seeing cover artists online that would have these crazily well-produced videos, and it wouldn’t connect. And then there was this kid who literally put a cell phone in front of him and recorded a cover and threw it up on YouTube. I sent it to a few A&R friends of mine, asking them what they thought, and the one that came back to me immediately was Ziggy Chareton, who’s still Shawn’s A&R now at Island. As soon as he saw it he said, We need to fly him out to New York immediately; so we did. I wasn’t managing Shawn at that time, but all of a sudden we’re taking meetings at Island and Republic and a bunch of other labels; all the time I was convincing Shawn and his parents that I should manage him. Shawn would have been very young then, and this storm blows up around him, so were there any thoughts, from either Shawn or his family, about wanting someone older and with more experience to manage him? Because from the outside it seems like a situation that might have called for an old hand. I’m very fortunate that they believed in me as a young person, and I think a big element of that was Shawn needing to connect with someone. And also Shawn hismself wanting someone that gets him, that understands. From my side, the approach was, I’m not going to convince you, I’m going to show you. I wasn’t trying to get anything past them, instead I was saying to them, Anything that I don’t know, I will figure out. That was a major thing. It was kind of a ‘We’re in this together’ kind of deal; like, we’re gonna find our way through this. He’s very much a human relationship person and number one for him, way beyond the business deal, is the question, Is this a good person? I think we all connected on that level immediately. We’ve talked about convincing Shawn, but did you also have to convince yourself you could do it – and not only do it, but take it to the big leagues? Do you know what, it wasn’t as much about identifying something in myself as it was about having interacted with many managers at Warners, seeing what they do and thinking, I can do that; why can’t I? And that’s not out of arrogance, but more out of just being a student of what works, and always knowing that you have something to learn. I still have so much to learn, and I think the best managers I know, they’re aware of that, they know that they’re constantly learning, constantly growing. Also, you have to realise that there’s no absolute right or wrong in this business; there are lots of grey areas, and so your instinct and opinion is valid. There’s no right decision as to what the next single is, or the right way to put an artist out there creatively; there’s no text book to look that up in. So you started managing Shawn before you were his manager, essentially, and, in fact started the process of getting a record deal? Exactly. I flew him to New York and I was introducing him to everyone I knew in the business, including a bunch of different record labels. It was clear that there was going to be a deal, and it was a question of making the right choice, and allowing Shawn to make the choice. That was when he was, Okay, obviously, you’re my manager now. Were you both in agreement on going with Island? It sounds like it was quite a competitive process. It was – and it was not an easy decision. But at the time, it all came back to that Shawn really connected with David Massey [then president of Island US, now Arista boss at Sony], plus I had close friends there in Ziggy and Eric Wong [Island COO]. It was a really good combination of people that we knew and that we were comfortable with. And Shawn really hitting it off with David just sealed things; it instantly felt like a family and a great team. 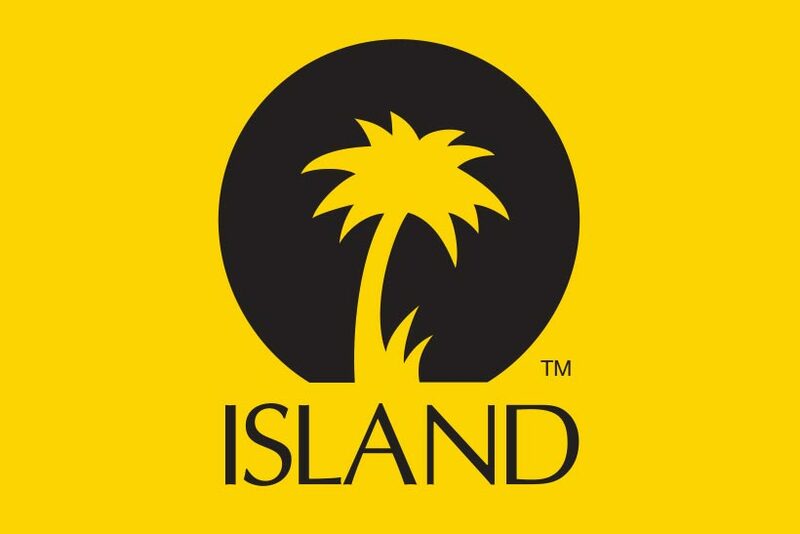 There was a lot of new energy at Island at the time; they had just of become Island on its own after the IDJ split. We felt that prioritising Shawn was part of that new mood. Deal in place, new team in place, what were your first thoughts and instincts on the best way to present and break Shawn? From the beginning, it was always, Let’s get music out immediately – particularly Life of the Party, which had existed before the Island process. As Shawn was bubbling and buzzing online, we wanted the association to be that he’s a songwriter, and that he’s an artist, because we knew that was the case; we knew that was the truth. The headlines, however, would say otherwise. It was ‘Vine Star’, ‘Social Media Star’, and there was a lot of doubt as to whether someone like that could break as an artist. In the end, we put Life of the Party out a month and a half after he signed to Island, so it was very, very fast. And that song exploded. It didn’t have traditional radio success, but from the perspective of a first song just being put out there, it did 150,000 copies in the first week, and he was the youngest ever artist to debut in the the top 25 on the Billboard Charts. It started to feel like, Okay, this is getting real, you know? And then we put him in the studio to finish an EP, and to continue to write and record his first album. All the time, it was always about keeping the focus on the music; it was always about building Shawn as an artist, but then also having that direct interaction with his fans and, on top of that, getting him physically in front of them, immediately touring. His first headline tour was all 500 to 1,000 capacity rooms, and every single show sold out in a couple of minutes. The next tour, we built up to bigger theaters and ampitheaters. And then the next tour we built up to arenas. It was that slow build. Well, no, I guess I wouldn’t say ‘slow’ build, but it was taking the correct steps. The difference was that with some of those steps that most artists would take over the course of five, 10 years, it happened a lot quicker for us, over the course of three or four. But it was still taking those steps. What was it like to be in the middle of that hurricane with Shawn, especially as a young manager with a young artist? Yeah, it’s not easy. It’s about making a whole lot of mistakes as you go and correcting them. So, what people see is like, Oh wow, this went so well 100% of the time. On the outside looking in, when you have a successful artist that blew up that fast, that’s all you see. But the reality is that every single day, there is another mistake that you have to make and correct in order to get to that next step. But I think the key is in the fact that you try and fail, because if you don’t try and fail, there’s no correcting. Obviously along the way you make lots right decisions as well, but the mistakes are important and can definitely go towards the success in the end. A big thing that I’ll commend our team for is making sure that we check ourselves – you don’t want to be making too many of those mistakes in public! So we’re humble about things; if a song isn’t good, we’re all honest with each other. And if an idea isn’t good, we’re all honest with each other. Is it possible to enjoy it when it’s moving that fast and the stakes are getting higher and higher? Absolutely! I think the part that I enjoy is getting to see the world; it’s incredible. We’re on the road 90% of the year; we’re going to a different city every night. And the great thing is you get to do that while making other people happy. The enjoyment that I get, and that I think that Shawn gets, comes from being able to let other people experience the best night of their life, you know? It’s like when you have a fan come up to you and say, This was my first concert, it was amazing, and now I’m a music fan for life. That’s it. When you look at the problems that some artists have encountered when they’ve gotten success very young, does that pile on the responsibility for you as a manager, and widen it, as in it’s not just about making sure the next record is a hit? Yeah, absolutely. I mean, the pressure was on from the beginning in that Shawn had great parents that did only the best for their son in terms of him being looked out for, not being put in the wrong situation, finishing his education, etc. For the first two years, he was still in high school, so he was being home schooled and then tutored while he was touring the world. The responsibility was always there. And it fed into the team we assembled, too. David Massey had a history of working with young artists, for instance, and he was really helpful to me as a mentor. He was great at knowing when it was right to push on and when it was right to say, Okay, Shawn needs a break. It was great to have partners who understood that. Has the most important part of your job and the most pleasing part of your success been converting people’s idea of Shawn from a ‘pop star’ or even a ‘social media star’, to an artist, a songwriter, a great live performer, etc? Completely, because that was the goal. It originates from Shawn saying very early on, I’m a fan of Ed Sheeran and career-wise that’s what I want to be doing. That means Shawn wants to build himself as an album artist who writes his own music, and that is what we have to project into the world; that’s the goal we’re setting, and we’re not going to settle for anything less. Was there pushback to that? Because of the way in which he was discovered, because of his age, etc? Totally. I mean, I think it took us until this year for that really to be a common understanding. Right. Do you think this last record has been the sort of last step on that journey, or at least a very important step on that journey? I think it’s almost more the first step on that journey. It’s like it took us three albums to convince everyone that that’s the case. And now I view it as like, Okay, the next time around, that’s a given. It was tough. Like when Shawn had his first hit, it’s very hard for people to understand who Shawn Mendes is just by listening to one song on the radio. So even when he’s having a huge hit like Stitches , it’s a double-edged sword in that, okay, well now he’s the Stitches guy. He’s had this huge hit, how do we have another one? And how is that one significantly different enough so that people understand who Shawn Mendes is – and why isn’t ‘the Stitches guy’? It was about creating a lane for himself. Even now, with In My Blood [2018, lead single from third album], it’s about having a rock song on pop radio. It was doing risky things like that, over and over, through three albums, that was able to finally cement that acceptance of, Okay, wow, yeah, he is an artist. There was a lot to overcome there. Even to this day, I think there still is a bit. But we were at Austin City Limits a couple of months back. I was standing side of stage watching, and there were people as far as the eye could see. It was the biggest crowd that they’ve at the 6 PM slot at ACL ever. For me, that was a bit of a moment – like, Wow, this has really happened. Before this year, it was all about convincing festival buyers that Shawn Mendes should be on their bill, and them saying, I don’t know if he’s a festival artist. Now he comes and plays a festival and he has the biggest crowd of anyone there. How important was streaming to breaking Shawn so big and so globally so quickly – and how does that track-based ecosystem marry up with his obvious desire to be an album artist? Streaming was so important. I think it’s interesting to note that the timing of Shawn’s career makes him perhaps the one artist that lined up perfectly with the trajectory of streaming. When we put out Shawn’s first song, it was 90% iTunes, and 10% streaming. And now it’s like the absolute opposite. When we had our first hit with Stitches, that really blew up globally and I think that was in very large part due to streaming. And the album side of the equation? I think there’s a subset of career artists that will always be album artists. And I think that’s Shawn, that’s Taylor Swift, Ed Sheeran, Coldplay, etc. What changes is how you have to release music. We’ve adjusted strategies in terms of how we cater to streaming. For instance, with one of Shawn’s biggest hits, There’s Nothing Holding Me Back , we added that onto the album [Illuminate] after the fact, in large part is because it’s very hard to break a song on streaming if it’s been sitting on an album for months. And you also have to go and reinvent songs too. So, Zedd did this amazing remix of Lost in Japan , which really helped reignite the song on streaming. You can be an album artist, but what you can’t do, for Shawn at least, is just put an album out and go away for two years. His fans want fresh, new music. And with how fast streaming moves, you kind of have to be with that. How would you describe your relationship with Island now, with David Massey gone [to Arista] and Darcus Beese in the hotseat? It’s been great. 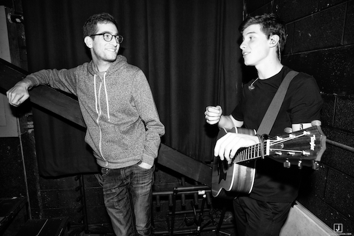 David kind of saw through the third album with Shawn, and saw through the maturing of Shawn. And Darcus (pictured inset) coming in brought an amazing new energy. There’s a lot of excitement now. That added burst of energy that comes with a fresh face can go a long way. But also, at the end of the day, it’s about more than just the executive, it’s about the team. Island has always felt very familial, like a family that cared – and that continues to be the case. 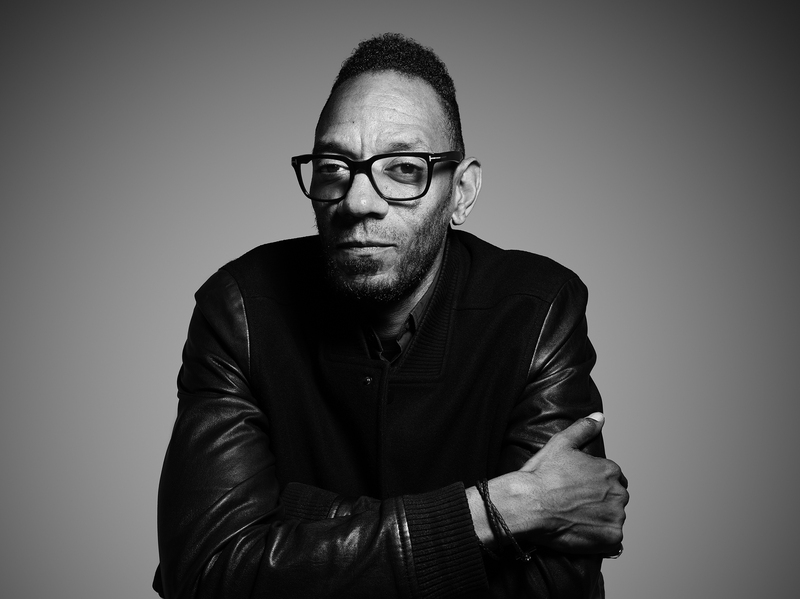 What do you think Darcus personally brings to the table? He’s great. He has a highly creative mind and a highly energetic person. When Shawn, Darcus and I sat down for the first time, I think Darcus and Shawn really connected on a creative level. It was funny, Darcus walked away and afterwards he was like, I’ve never been as positively exhausted from the creative energy in a meeting as that [laughs]. What does the next year look like for Shawn? Next year is a heavy touring year. It’ll end up being about 100 shows, all arenas, and a few other surprises that I can’t mention now. But yeah, the whole of next year is Shawn trekking across the world playing arenas, which is going to be incredible. And when will you start thinking about record number four, and will there be new music even before then? You know, it’s interesting; the minute he turns in record number three, he starts to think about record number four. He’s constantly creating, so I it’s just a matter of when he starts to feel like he has a body of work coming together. But, with streaming now, there aren’t any rules. So I think record number three might have a lot of life to continue with reinventions of songs – or, sure, even new songs before record four comes around. It’s clearly a huge job being Shawn’s manager. How does that dovetail with any ambitions to build a management company? My ambition has always been in doing a few things really well. So if I can have one or two amazing things going on, I would rather have that than two amazing things and 10 that I may not be able to spend enough time on. And I also think there are different skill sets, like some of the managers that I admire most have incredibly large rosters and they do an incredible job for every single one of those people because they’ve built amazing teams and amazing companies. I will say that my ambition lies there, but at the moment, it also is very focused on Shawn and where his goals are set. We want him to continue to be a career artist, continue to release new music and hopefully build him into a stadium level artist. For me, right now, it’s all eyes focused on that goal. And if Shawn looks to Ed for a career template, is there a manager that you look to in the same vein? There are elements of different managers that I admire for different reasons. As a young person in the music business, in our current era of the music business, I think Scooter [Braun] does a tremendous job and is someone that I’ve always admired. But at the same time, there’s someone that’s managed one career artist for 40-plus years, someone like [Bruce Springsteen manager] Jon Landau, or the managers that have built artists who have literally toured every year of their lives from age 20 to age 50; those people are equally motivating to me. Final question, what would your advice be for a young manager just starting out? I think the biggest thing is just acting on it. Go and convince someone that you should be their manager. It’s about not being afraid to go and do it, and not being afraid to fail. You have to know that there will be a few failures along the way to every success.